Will Izzie regret hooking up with Alex again? McCritic: This former model appears to have a good head on her shoulders. It complements her other very good body parts quite well. For now, her and Alex have come to a mutually beneficial arrangement. Whether or not it succeeds outside the allure of the janitor's closet is another issue, but one that Izzie seems very much in control of. iheartizzie: Hard to say. He cheated on Izzie to get back his confidence and improve his performance in bed... with Izzie. You can never trust that guy completely, but at the same time, in Alex's twisted world, he really meant no harm. Perhaps he has learned the error of his ways and will never allow her to feel regretful about their closet escapades again. Married-to-McDreamy: No. 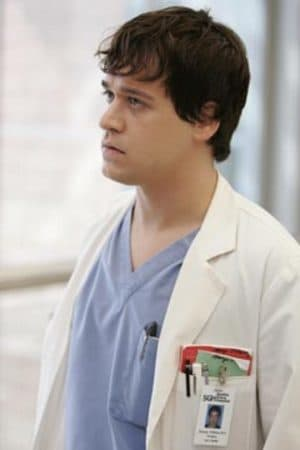 Now that Alex was finally able to "perform," he will never cheat on her with that blah-looking nurse again and they will lead a happy live of having quickies in the hospital closets. Is there any chance this works out well for George? iheartizzie: Doubtful. Nothing ever does. Without the lovable loser's bumbling and self-doubt, the whole dynamic of the show changes. George ending up with Meredith would be apocalyptic, an event akin to Ichiro winning the AL home run race or the Sonics making the playoffs. Married-to-McDreamy: Not a chance. We all know that Meredith will never stop loving McDreamy and that she just turned to George that night because she was feeling sorry for herself. Poor guy. McCritic: Is there any chance Dr. Bailey invites the staff over for a reading circle and herbal tea? No. Who will be the next person at the hospital to get punched? Married-to-McDreamy: George - for talking about how he looked at Bailey's va-jay-jay while she gave birth. McCritic: McSteamy isn't the sort to take a knock down without retaliating. Expect an impending bruise to McDreamy's face. Or his heart. iheartizzie: Dr. Burke. 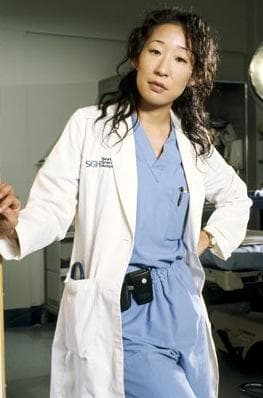 A past boyfriend that Cristina simply "forgot" to break up with before moving to Seattle will appear out of nowhere and have it out with the superb, kind surgeon. We will see how Dr. Grace Under Pressure responds then. Did Christina really give up her apartment? McCritic: Definitely. It wasn't the inspired speech by Burke or the guilt she felt over misleading him, however. It was her dance routine. Shaking one's rump early in the morning with only a toothbrush as a partner can only be satisfying for so long; at some point, you've gotta turn up the volume, tune out any commitment issues and dance like no one is watching. And maybe love like you've never been hurt. Married-to-McDreamy: In order to live with the most calm, collected, and talented cardio-thoracic surgeon in Seattle? Hell yeah! Who else would let her eat chinese food in bed and brush her teeth in the kitchen sink? iheartizzie: Whether it was actually relinquished by Dr. Yang, or condemned by the Seattle Department of Public Health, is up for debate. But either way it looks as if she and Preston are officially living together now. PRESTON: [enters his apartment] "I am Preston Burke. I am a widely renowned cardio-thoracic surgeon. I am a professional and moreover I am a good, kind person. I am a person that cleans up after himself. I am a great cook. And you? You are an unbelievable slob. A slovenly, angry intern. I am Preston Burke. And you... are the most competitive, guarded, stubborn... the most challenging person I have ever met. And I love you. Why the hell won't you just let me? CRISTINA: "I gave up my apartment 20 minutes ago." PRESTON: [pauses] "Well, alright then." MARK: "Come on Derek, can't we just move past this?" MARK: [gestures to Addison] "You forgave her?" DEREK: "No, I haven't forgiven her. And with you, I'm not legally obligated to try."